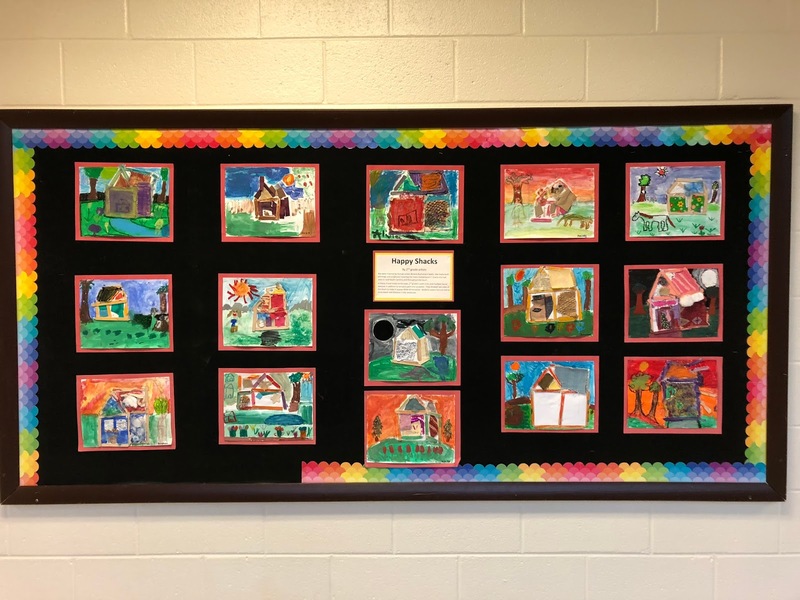 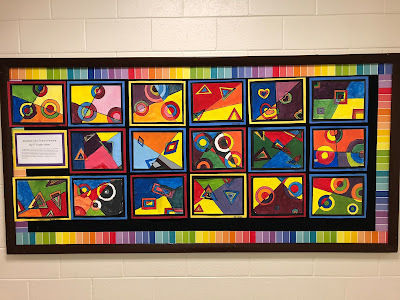 Mrs. Elder's World of Art: I'm back! 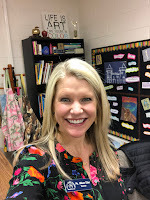 I'm so happy to be back here at State Bridge Crossing! 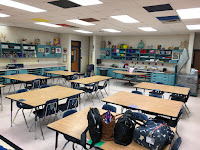 Yes, I'm a bit sad to leave my babies but it's also great to see my 800 students here. 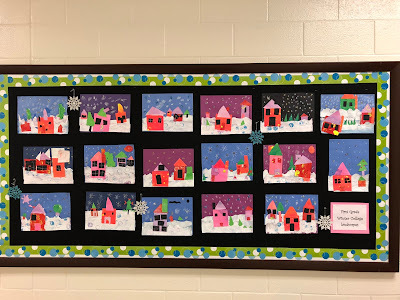 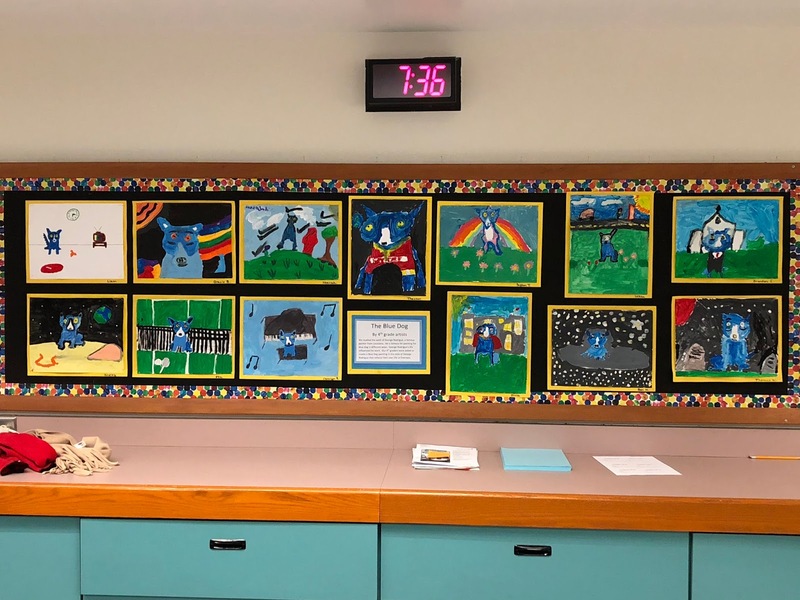 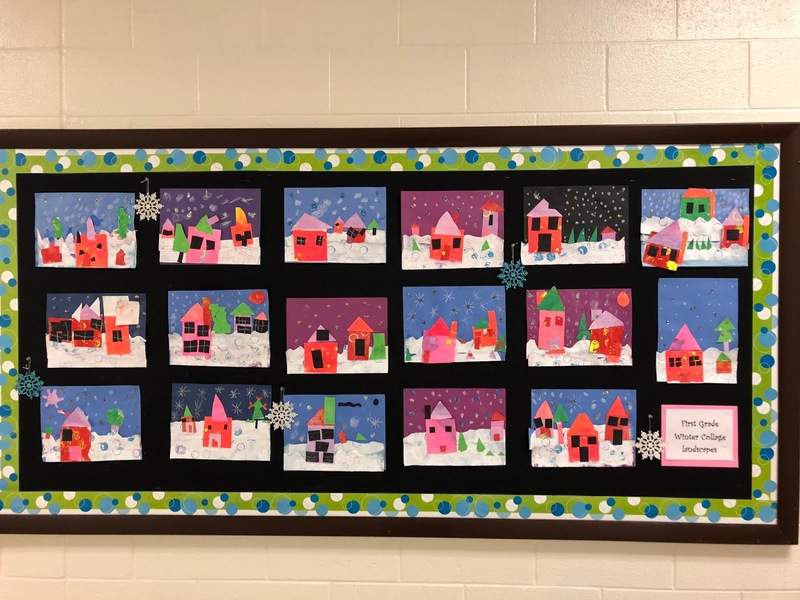 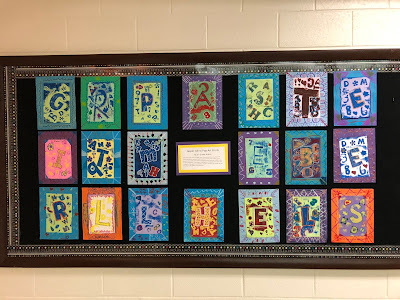 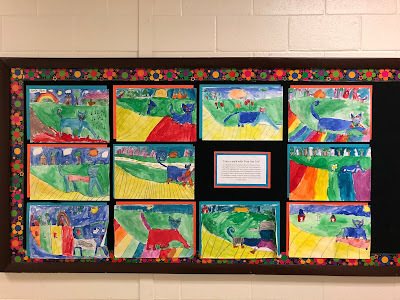 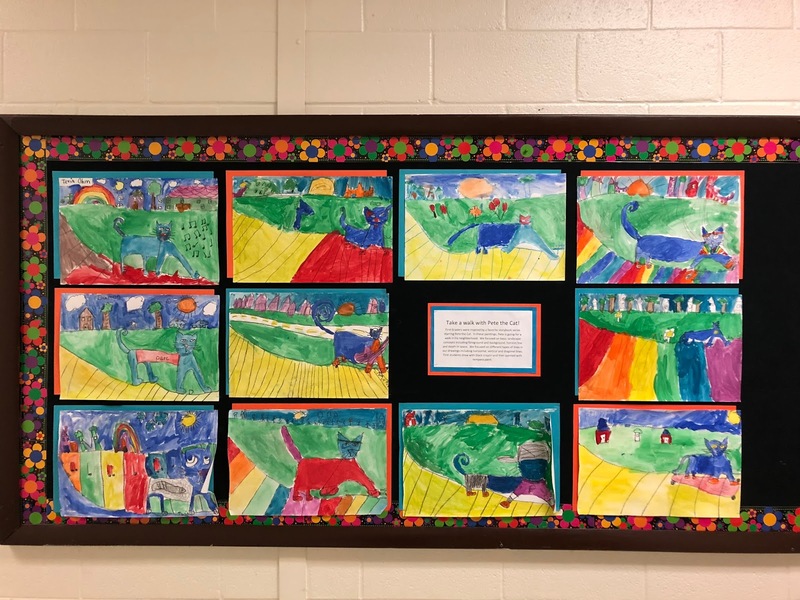 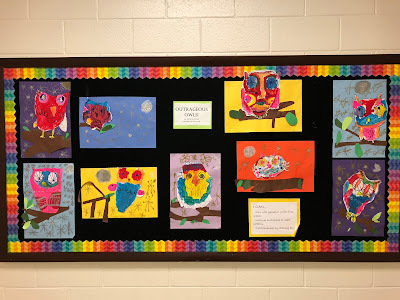 I was so thrilled to see how organized the room is, how well students' artwork looks, and how gorgeous the bulletin boards in the hallways are. 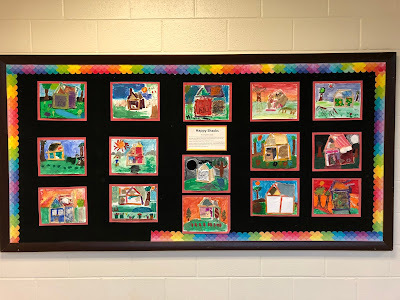 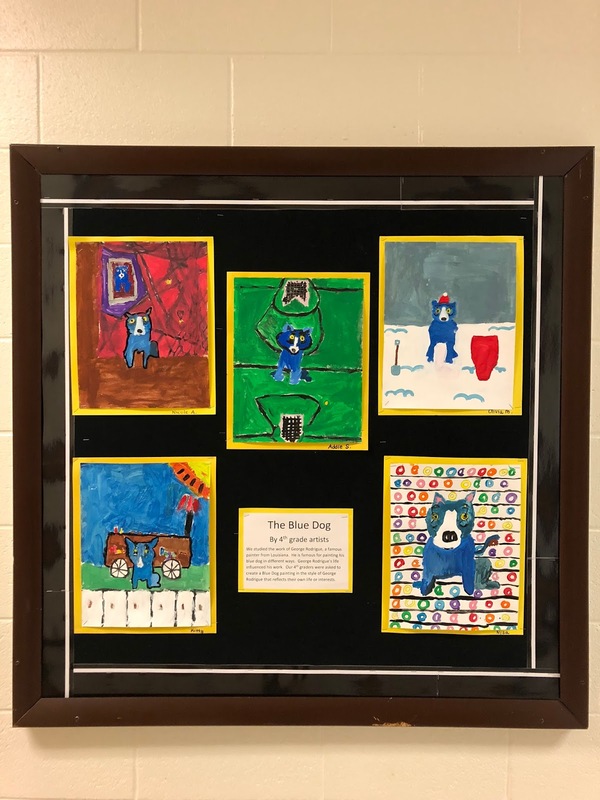 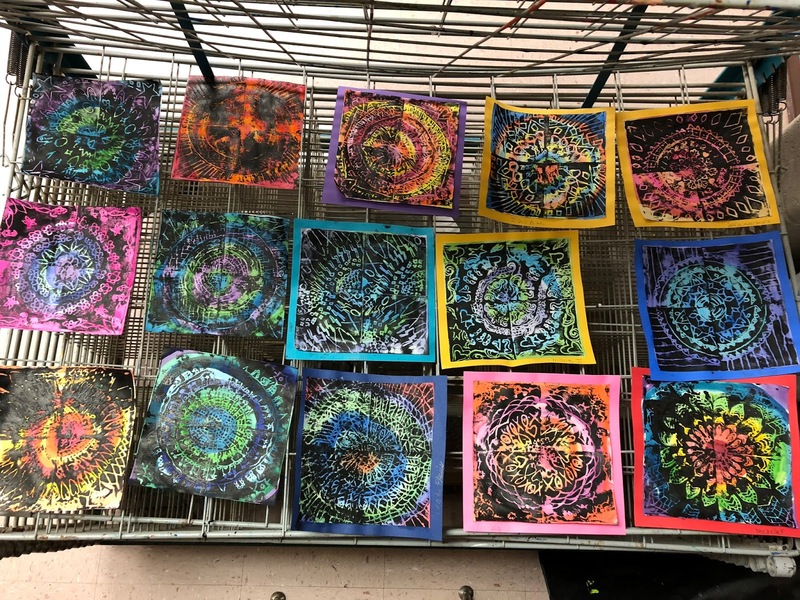 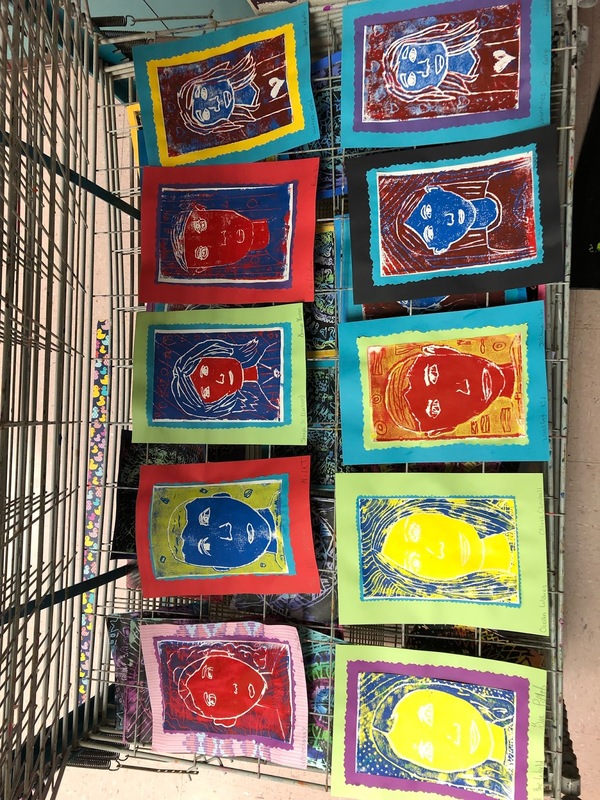 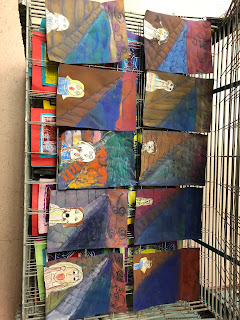 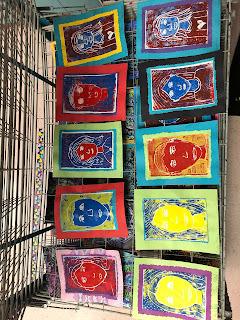 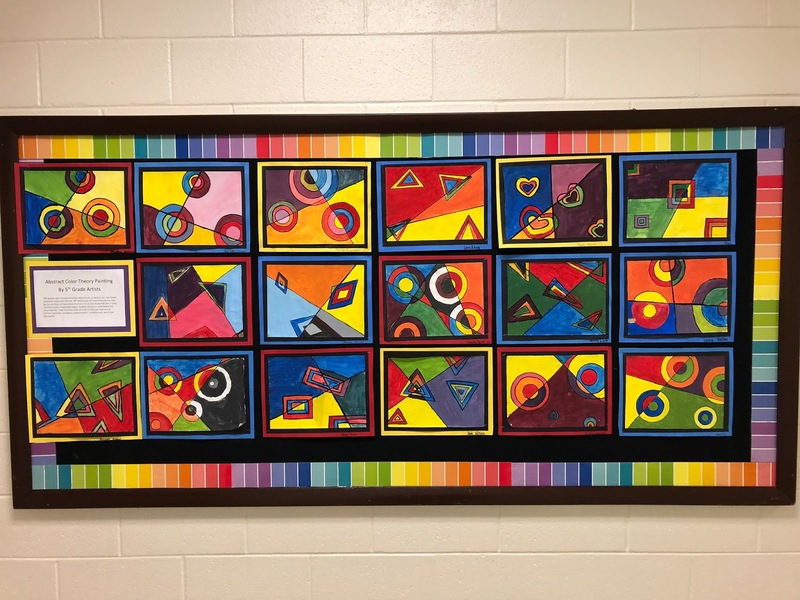 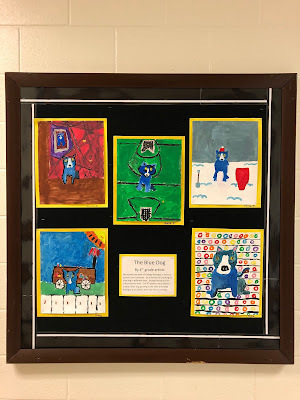 The students have completed way too many art lessons to mention here but here's some snapshots of their learning from the displays in the halls and from the drying rack. 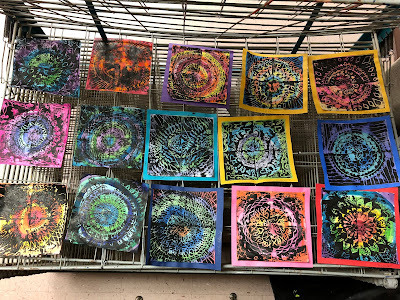 Today I started three new lessons, continued two, and finished up one. 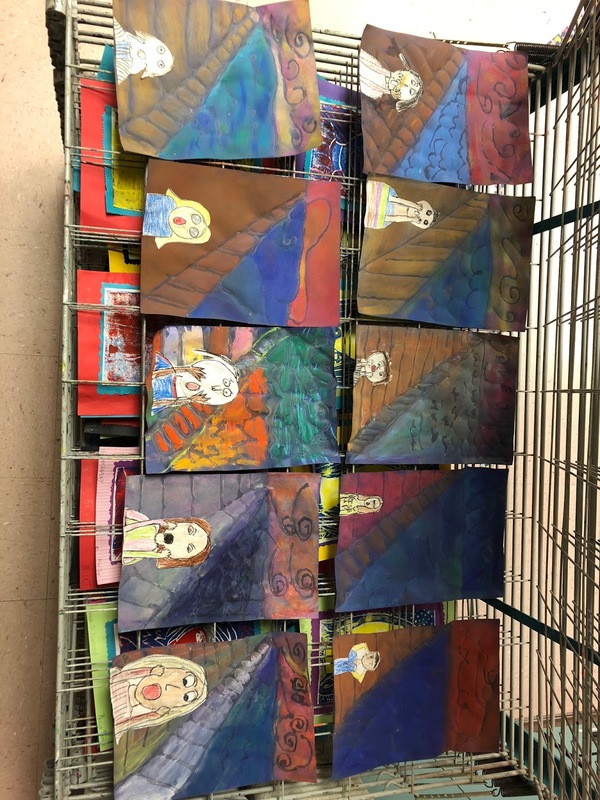 Stay tuned for some more magnificent artwork from our State Bridge artists. 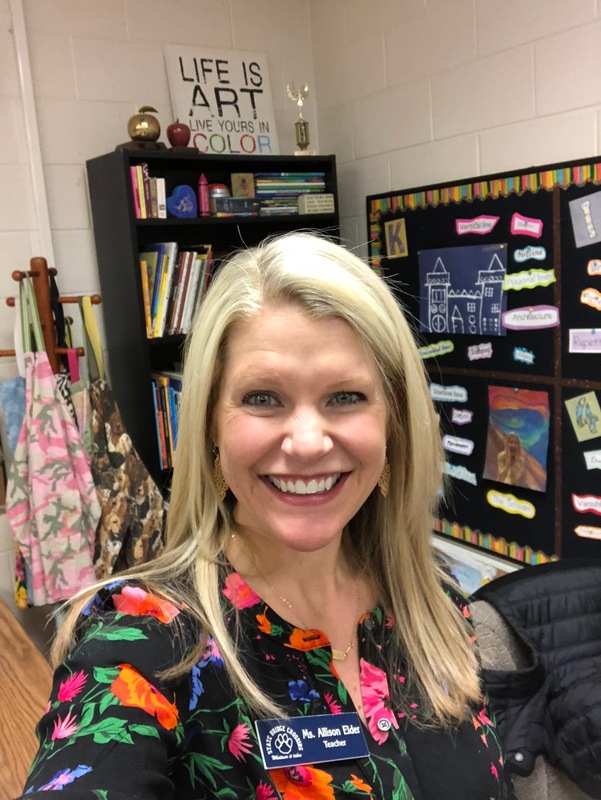 Your sub did an outstanding job, Allison!